I love my Scentsy business and love all of the friends I've made along the way! Let me share Scentsy with you - whether you want to Buy Scentsy, Host a Party and earn free Scentsy, or Join my Team and earn Commission on your Scentsy. Welcome to my Calendar of Places I'll be! 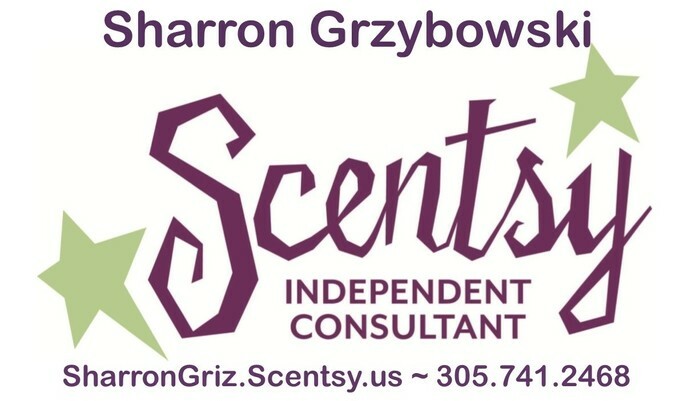 This Newsletter is to help answer the question "Where in the Valley is ScentsySharron?". Please feel free to share this with your friends that might be looking to get their Scentsy fix. My contact information is embedded in the middle of the event listing somewhere, along with a link to my Facebook Page (please go Like my Facebook Page!). My Gift Registry is linked at the very bottom, on your way to it you'll also find an offer for Free Shipping. This is intended for my Arizona Valley friends. Apologizes for accidentally adding any non-Arizona folks. My non-AZ friends can feel free to unsubscribe to my Local Calendar. I'll set up my Scentsy wares at my home in Fountain Hills. This will be my first Open House of the new catalog season (March 1 is the start of the Spring/Summer catalog). Come check out some of the new fun Warmers and get some new scents for the Spring! Please Email me to let me know that you can come. I will reply with my address and parking/driveway directions (our house is on a corner and the street address always throws people off). 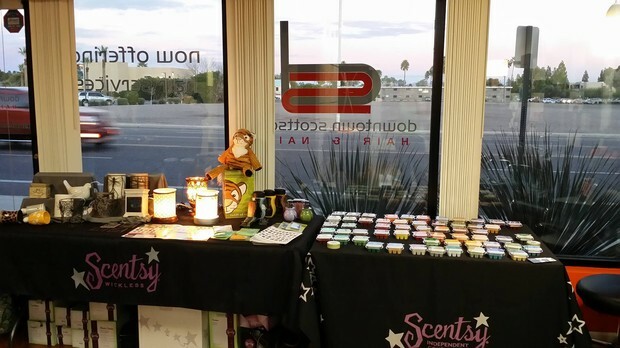 I'll set up my Scentsy wares at my home in Fountain Hills. Come check out some of the new fun Warmers and get some new scents for the Spring! Can't make it to see me at one of my Events or Open Houses? You can shop online anytime. 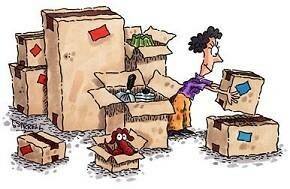 You'll find that your order ships almost immediately when you shop online. This 2-day show continues on Sunday the 29th, from 10-4. If you're on Facebook please Like my Page for the most up-to-the-minute calendar updates. I realize that this isn't really note-worthy to anyone BUT me, but wanted to let you know that I will be away for a week early/mid April. My sister has a conference in England, so I'm leaving the hubs and the kitty behind and headed to London to be a tag-a-long for the week. I will have my laptop with me and can reply to Emails, but will not have international calling on my phone. I will ship your (over $40) pre-paid order for free when you let me place your order as a part of a larger order (I usually order at least once per week). Email your order to SharronGriz@yahoo.com. *I am unable to alter orders placed directly on my website. Cannot be a part of a Party order, or as a part of another special that I may be offering. Come see the largest Pet Expo in Phoenix - put together by the largest Pet Expo people in the country, http://www.phoenixpetexpo.com/. This is a 2-day event, Saturday/Sunday April 25/26. In addition to be able to get your Scentsy on, there will be pet talent shows, agility demonstration, pet costume contest, pet/owner musical chairs . . .
Come have some fun at the Pet Expo and please come by and see Scott and I. I'll bet it's time to pick out new scents to help cover those pet odors, huh!?? Come see the largest Pet Expo in Phoenix - put together by the largest Pet Expo people in the country, http://www.phoenixpetexpo.com/. I'm looking for more shows! Is your school, church/synagogue, office, club, apartment complex, or organization planning a Fair or Festival and having a Vendor area? Please let me know. 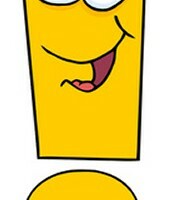 I'd love to set up a Scentsy booth. I'm always looking for new venues and Hosts to share my love of Scentsy! Do you have a birthday, anniversary, or other special event coming up? Why not fill out my Gift Registry Form with your Scentsy wish list? You fill out the form and I'll make the calls and help make the Scentsy gift magic happen! Does what I do look like fun? I'm looking to grow my Scentsy Team - you already know you love the product. You know your friends love the products. Why not benefit from it?! For $99, you get everything you need in the Starter Kit. Earn commission on your own Scentsy. Earn commission on your family's Scentsy. Decide you need a little extra $$ for Holiday spending? Then ask your friends to Host a Party or sign up to do a Vendor event and find new clients! As an Independent Consultant, you decide when and how you want to do your Scentsy business - you can be Personal Use, Part Time, or Full Time.... or Personal Use one month and Full Time the next month . . . .
You get everything you need to get your business started in one box! Beautiful demonstration products like a Warmer and Bar. Scent Testers, sales tickets, catalogs, marketing flyers and invitation. The Starter Kit also includes 3 months of of a free personal website - continue with the website for only $10 per month, if you'd like. You do not need to keep an inventory; instead, sell from the catalog and scent testers. Fabulous FREE Training on your Workstation. In addition to me as your Sponsor and mentor, you'll have an Upline filled with people that can help you with ideas to run your business. Need to take a month off from your Scentsy business? 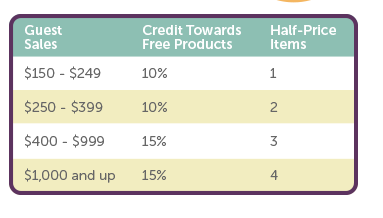 That's okay, you only need to sell 150 Retail Volume one month out of any three consecutive month period. Earn up to 30% commission plus the opportunity for bonus money if you decide to recruit a team (totally not necessary). Not sure if becoming a Consultant is right for you? Why not Host a Party - they can be Catalog/Facebook/Online/In-Home or a combination. You like the results of the Party? I'll be happy to flip that Party over to you; you sign up and then take the sales tickets and input them as your first order!